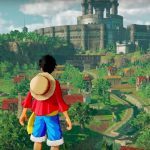 Bandai Namco is aiming for something a little different with One Piece: World Seeker, an open-world action-adventure that hopes to replicate the freedom of Eiichiro Oda’s series. The latest preview is here in the form of a behind-the-scenes video featuring producer Kōji Nakajima. See what he had to say about the direction they wanted to take the One Piece game series in below. One Piece: World Seeker is coming to PS4, Xbox One, and PC in the west sometime this year.